How has Dublin changed for you? Or, do you care? This impending reunion thing has had me thinking about what Dublin and Dublin High School was like for us when we graduated, compared to today. Being one of those homers who still resides in Dublin, I’ve noticed that things have definitely changed around here. For instance, there is the growth in housing/retail in existing neighborhoods and East Dublin, which was just starting to be developed when we left high school. What used to be a quick five minute ride across town now takes twenty minutes thanks to the increased downtown traffic. 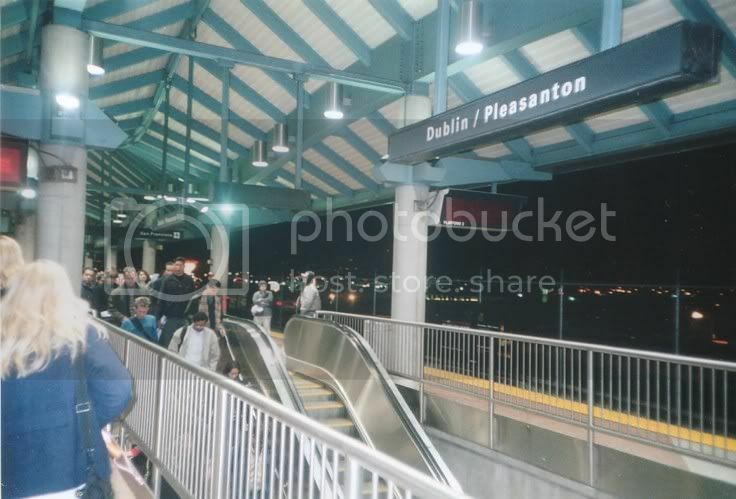 1997 was also the year when the BART station opened in Dublin, not soon enough for those of us wanting to escape to the San Francisco and back without driving. Generally, though, the BART train has been a godsend for Tri-Valley commuters. Dublin High School has also changed quite a bit. Fresh paint on the buildings, a lovely Dublin Gael mural gracing the gymnasium, and a brand new astro-turf football field with an all-weather track ringing the field. As an ex-track runner who scraped around the hard, often-flooded dirt track, I am very jealous of this development and wonder why this didn’t happen sooner. While some of us have remained in Dublin/Tri-Valley area, there are a number of us who have long since moved away from here, for different reasons. Suburban angst? School, jobs, significant others? Maybe some of us hated it here and wanted to get away. Or some of us truly love this hometown. Share your story. What does Dublin mean to you? What changes have you noticed around here? Or, do you care? Previous PostMissing Classmates!Next PostThank you for taking our survey!